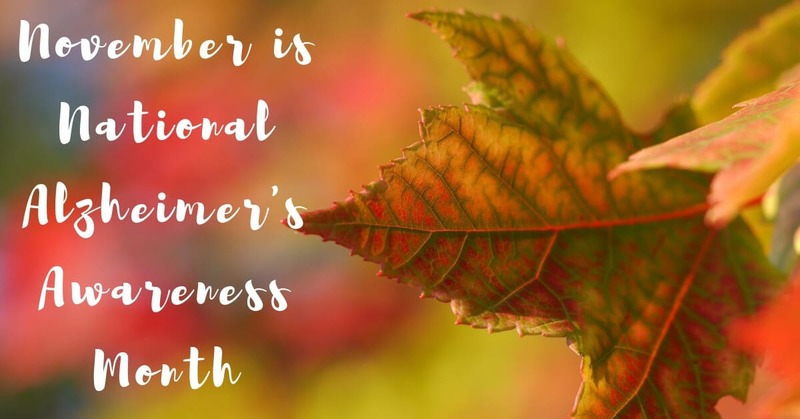 For the last 35 years, November has been celebrated as National Alzheimer’s Awareness Month. Organizations and institutions across the country come together this month to talk about Alzheimer’s and other dementias. They work to educate people about the disease, raise awareness, provide resources and support, and discuss ways of preventing or slowing the disease. Alzheimer’s Disease is a degenerative brain disease characterized by massive loss of neural connections and brain cells. It’s common among older adults and is among the leading causes of death for seniors, along with cancer and heart disease. In the U.S., rates continue to rise. When President Ronald Reagan designated National Alzheimer’s Awareness Month in 1983, roughly 2 million Americans had Alzheimer’s Disease, but as the population ages, that number continues to rise. Today, nearly 5.4 million Americans have Alzheimer’s. The earliest signs of Alzheimer’s are almost impossible to detect, and many people have the disease for many years before they’re aware of it. The first areas to be affected by the disease are higher brain functions, like memory and language. You might start by forgetting small things, like where you put your keys. You might miss an appointment, forget your grandchild’s birthday, or get confused about the date. As the disease progresses, you’re unable to form new memories, and lack short term memories. Long term memories start to erode as well, and you will start to forget important events from your past, or even fail to recognize the faces of your loved ones. You might get lost in your own neighborhood, or forget where you live. As the disease encroaches on other parts of your brain, you’ll have difficulty carrying on a conversation, or doing simple tasks, like following a recipe you’ve made many times before. Finally, you’ll be unable to perform the tasks of daily life, like eating or getting dressed. Did you know that hearing loss is linked to Alzheimer’s Disease? While the connection might not seem obvious at first, hearing loss also has a profound effect on the brain. As parts of your brain aren’t being used to hear, these weak areas are susceptible to damage, and those with hearing loss experience more rapid cognitive decline, increasing your risk of developing a degenerative brain disease. Not only that, but those with hearing loss often become socially isolated, withdrawing from friend groups, or spending far too much time alone. Lacking proper stimulation, your brain doesn’t get the exercise it needs to be healthy, and without realizing it, you are further damaging your brain. You’ll start to have difficulty communicating with friends and loved ones, and struggle to focus on tasks or navigate the world around you. Sadly, there is no cure for Alzheimer’s Disease. Researchers are working tirelessly to find ways to stop the spread of this disease, but so far, their best recommendation is to find way to keep the brain active to strengthen neural connections and reduce the growth of plaques and tangles. How can you keep your brain active? Treating hearing loss will give you back your ability to communicate easily, enjoy spending time with friends, and look for reasons to get out of the house. A quality set of hearing devices will give you the freedom to start a new hobby, or learn a new language. Learning new skills will strengthen your brain, and you’ll be able to improve your brain health while hearing clearly, enjoying close friendships, and improving your quality of life. Ready to do the right thing for your brain and your ears? 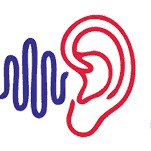 Visit us today at Hearing Services of Antioch for a hearing test. We’ll determine your level of hearing loss, and find out which sounds fall outside your hearing range. After we understand your unique hearing needs, we’ll help you find the perfect hearing aids that will fit into your lifestyle and give you clear hearing in every listening environment.